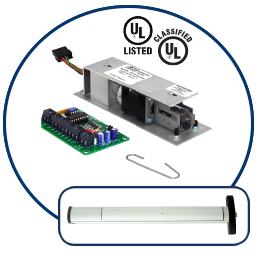 WPT uses a radio frequency (RF) transmitter to send energy wirelessly across the door gap to a RF receiver that converts the energy to DC voltage to power electrified locks and latches. Retrofitting electrified locks into openings with existing doors is simpler and less time consuming. 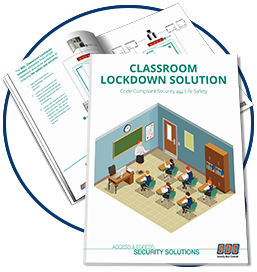 SDC’s solution provides specifically designed classroom security locking functions that allow users to quickly lock the door from either side and meet code requirements for free egress, fire protection and accessibility. 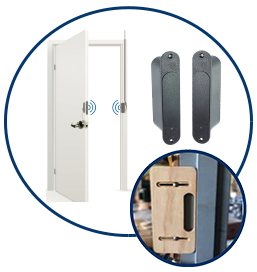 They are the fastest and safest solution for “lockdown” situations and minimize the possibility of an exit being blocked during an emergency. © Copyright 2019 Security Door Controls.